I love pancakes. I mean, love. When I tried these for the first time, it was truly love at first morsel. They’re so healthy and delicious— I found reasons to justify eating these for pretty much any meal of the day. 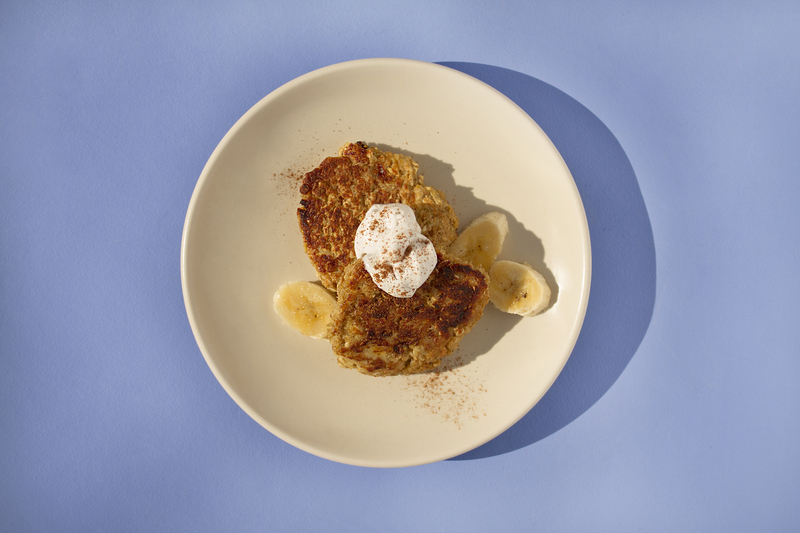 The best part is, they’re made with just 3 ingredients: banana, eggs and oats. Bananas are easy on the tummy, add natural sweetness, and a big dose of fiber and potassium. Eggs are a great source of protein— they include every essential amino acid there is. If you are making a vegan version, you can use an equal amount of flax egg (soak whole flax seeds in water overnight, and then strain the “egg,” the gel, from the seeds). Oats provide even more fiber and nutrients, and they’re perfect for those moments when your tummy needs a little help with digestion. 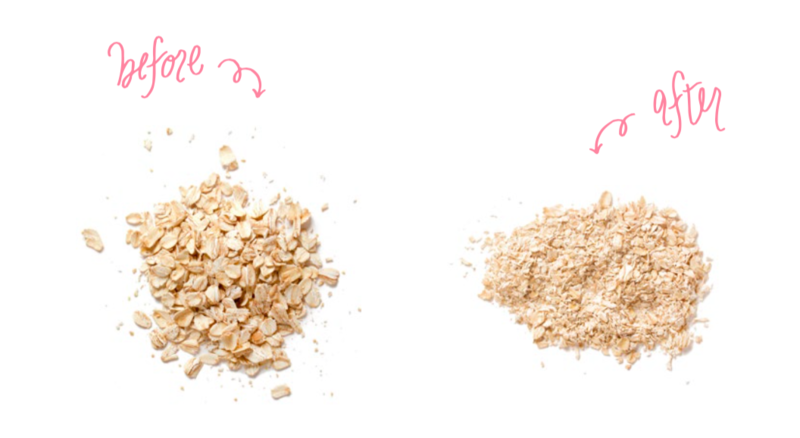 We suggest partially grinding the oats in a food processor to make the pancakes easier for baby to eat. Check out our ridiculously cute graphic below for reference. The pancakes are truly so good that you don’t even need toppings, but you do you. In the spirit of keeping things healthy, you can add unsweetened coconut cream, diced fruit, a drizzle of almond butter, a sprinkle of cinnamon, or some organic maple syrup on top. No matter what you add, you and your family will agree it’s delicious. You’ll be making these pancakes so often that you’ll have this easy recipe memorized in no time. The most delicious 3-ingredient pancakes. Banana. Eggs. Oats. That’s it! We promise you’ll be hooked. In a mixing bowl, combine mashed bananas, eggs, and oats and mix well. In a large frying pan over medium heat, add butter or coconut oil for cooking. Spoon or pipe in the pancake batter to your desired pancake size. Cook for 1-2 minutes on each side, until the pancakes are golden brown and crispy on each side.